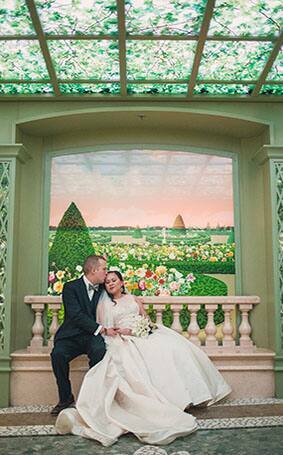 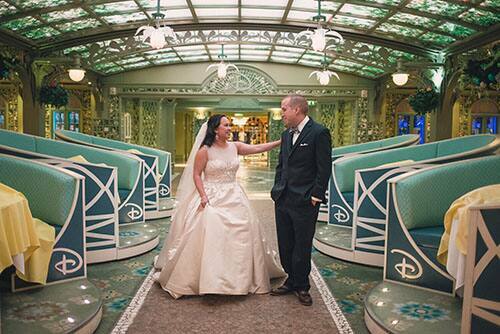 Even before the engagement, they knew they wanted a Disney's Fairy Tale Wedding. 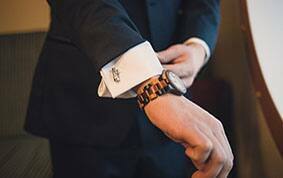 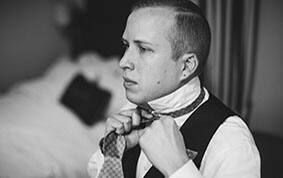 It wasn't a matter of "if" more than it was a matter of "when". 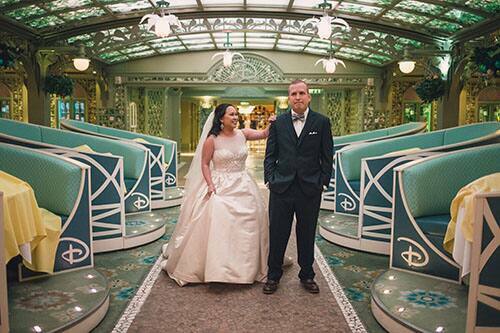 They had originally planned on a celebration at Walt Disney World, but as often happens, life got in the way. 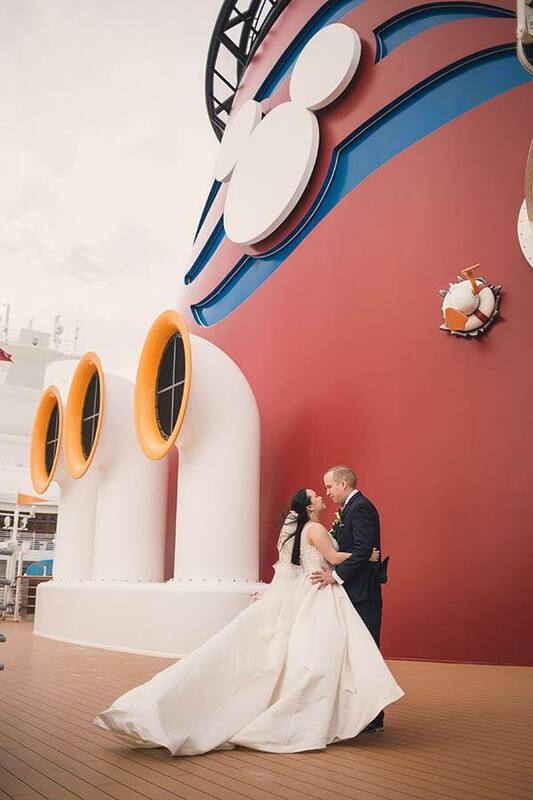 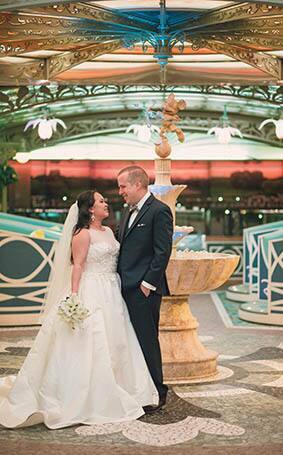 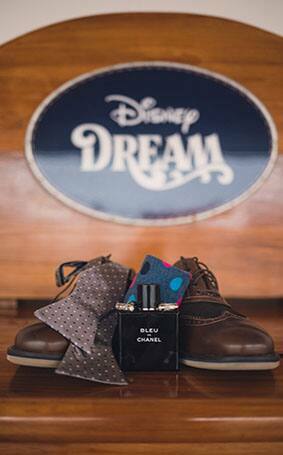 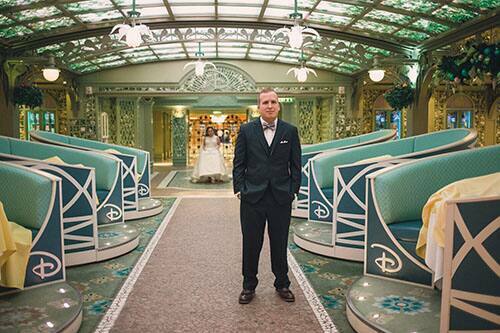 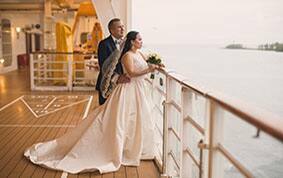 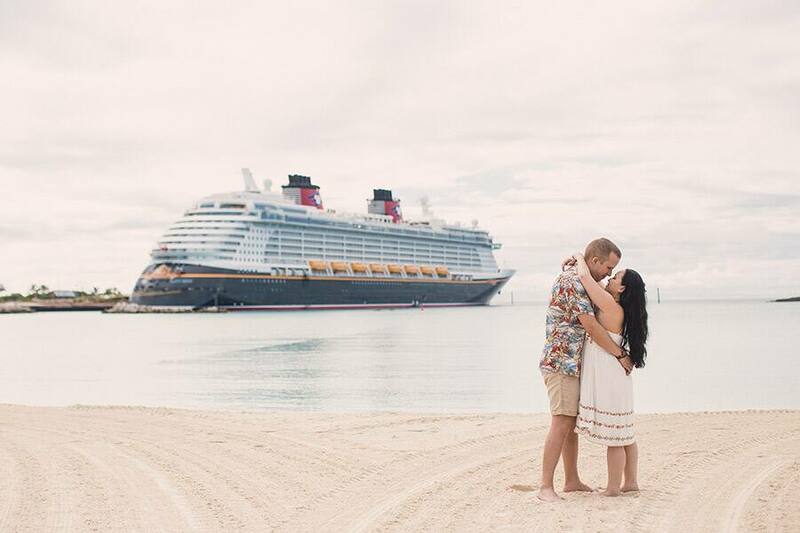 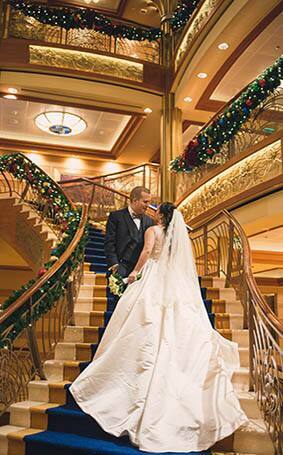 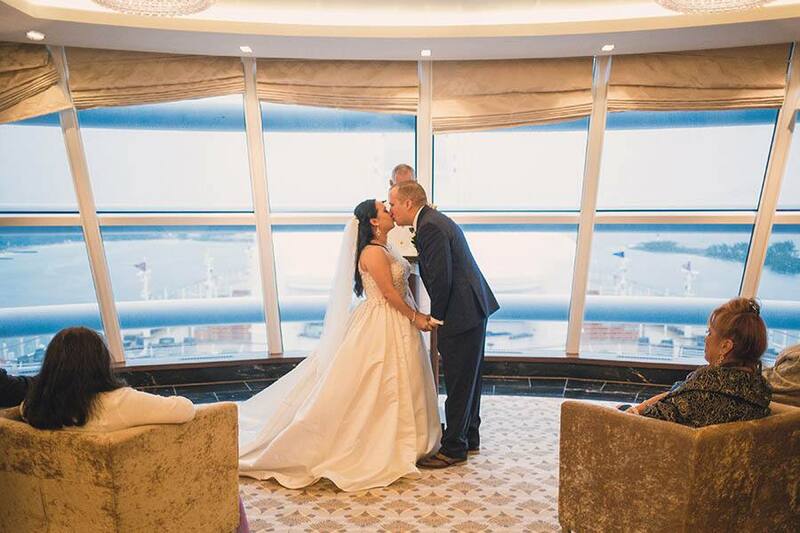 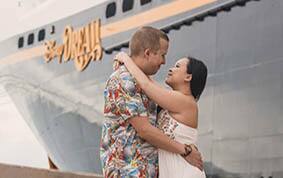 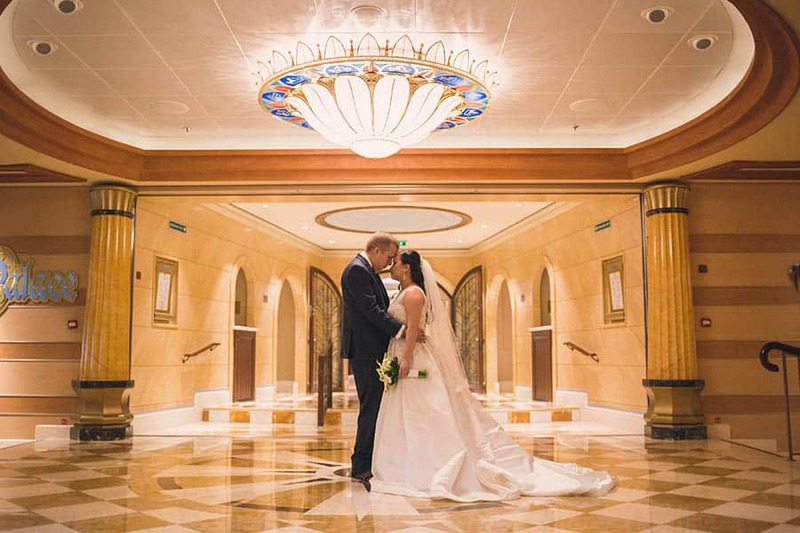 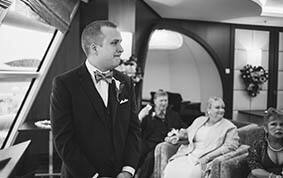 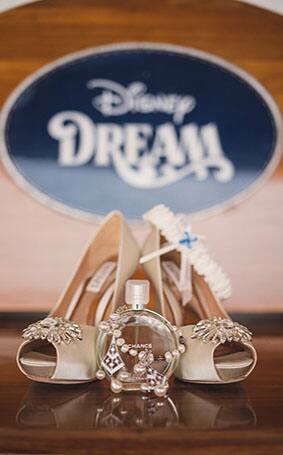 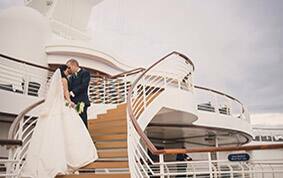 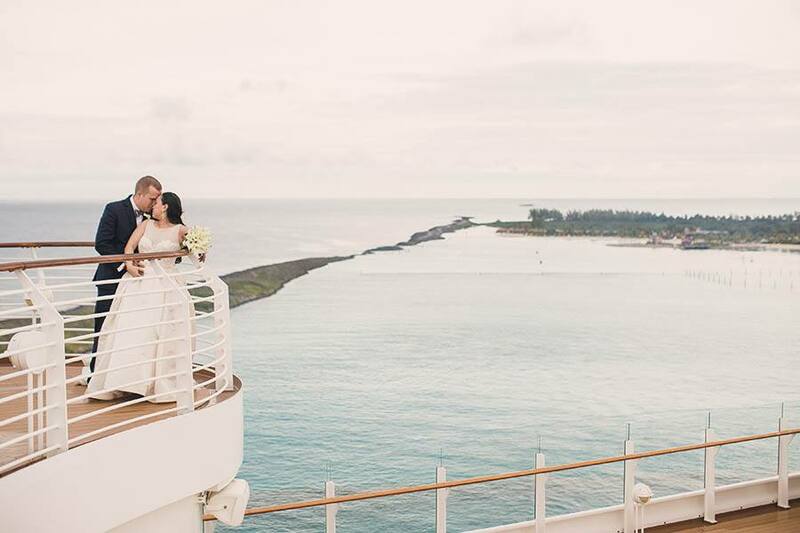 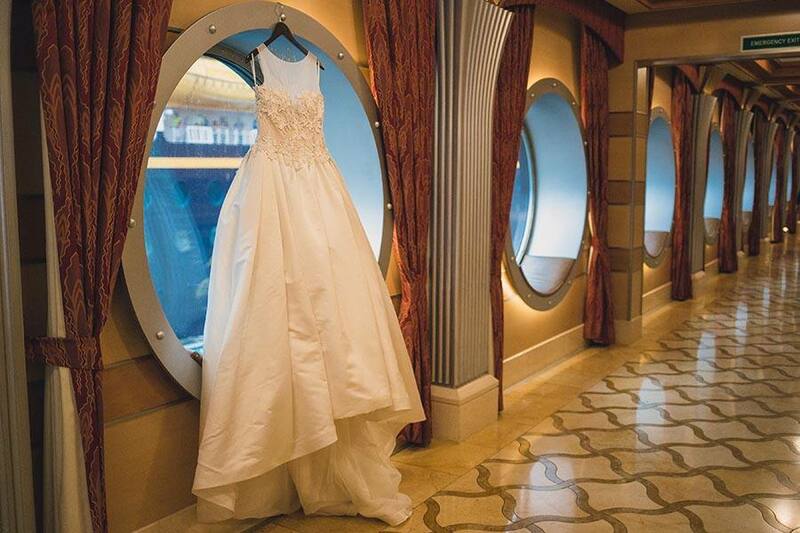 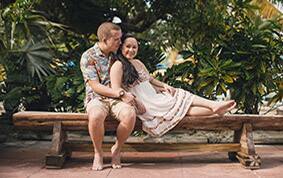 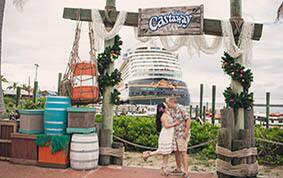 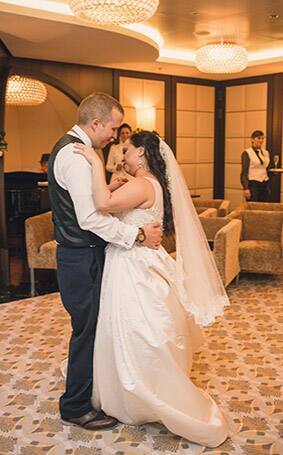 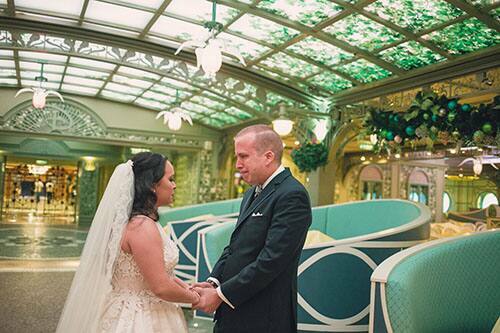 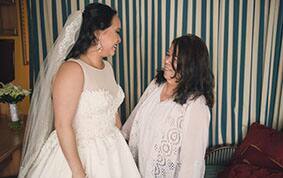 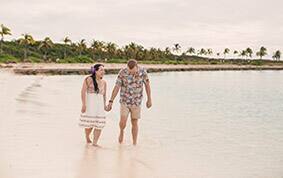 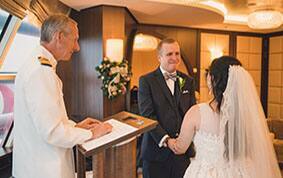 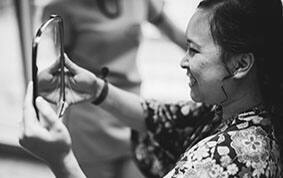 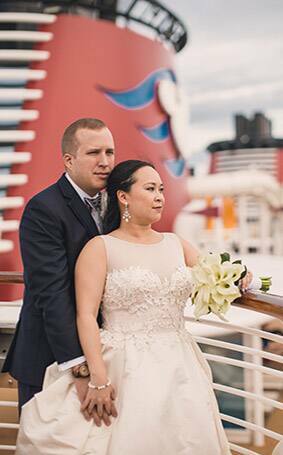 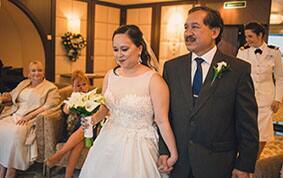 They realized they wanted a more intimate wedding and discovered Disney Cruise Line Weddings. 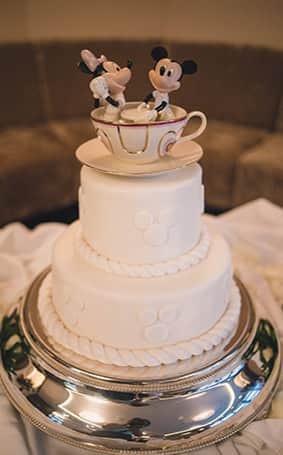 It was everything they were looking for. 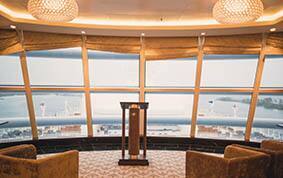 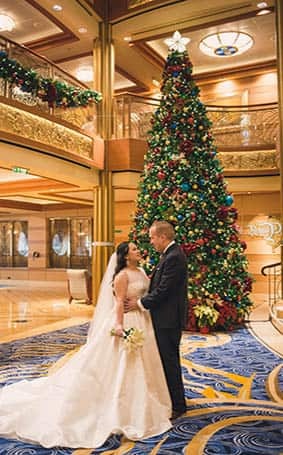 They chose a ceremony at the Outlook Lounge on the Disney Dream close to their favorite holiday- Christmas! 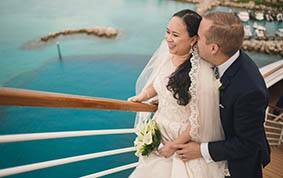 Charise described it as "simple, joyful, and sincere". 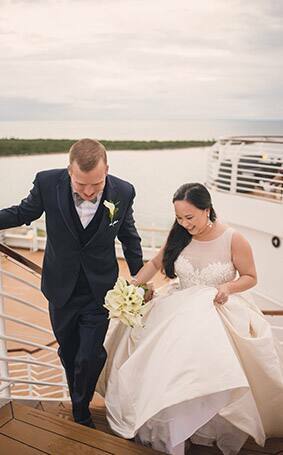 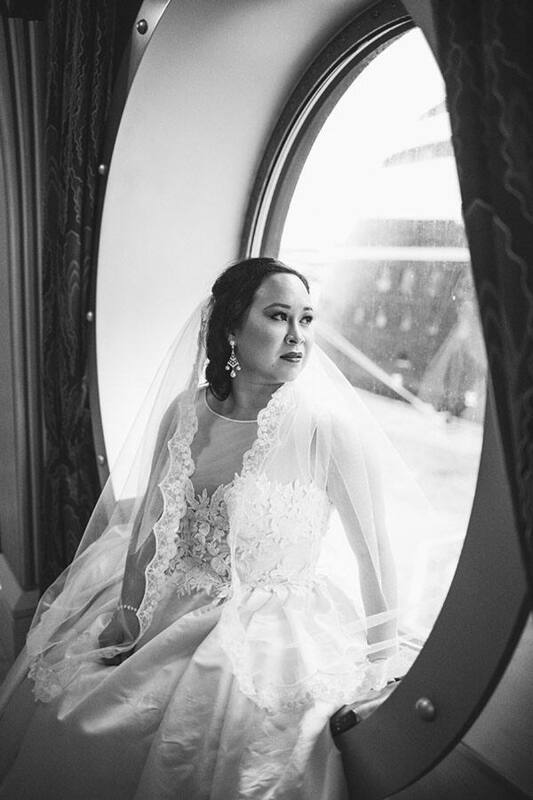 The couple's favorite part was during their Cake and Champagne Celebration after the ceremony when they were able to dance together and reflect on their 10 year journey.